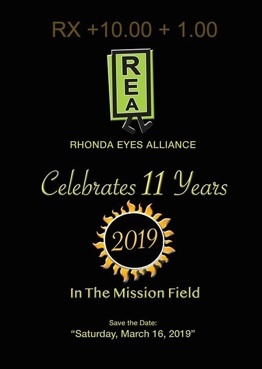 Rhonda Eyes Alliance Inc. (REA) was founded in 2007 and established as a 501(c) (3)non profit organization in May 2008 but its founders Pierre & Rhonda LeBlanc have been active humanitarians since 1995. 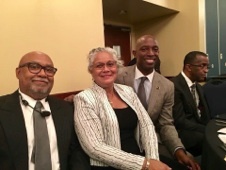 REA is a group of dedicated health care professionals and volunteers committed to serving the less fortunate. 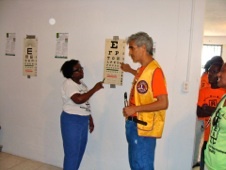 In South Florida REA performs Vision Screenings Eyeglasses tune up at Community events, Health Fairs and senior facilities. 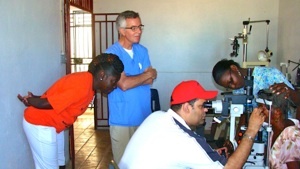 In Haiti REA’s mission has transitioned from short terms to establishing a full service Vision Center with an Optical lab in Arcahaie Haiti. 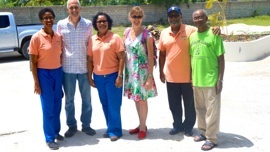 The administrators of L’Eglise de Dieu Reforme Hospital of Arcahaie have provided us with the necessary space for the Clinic. 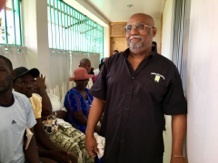 The Vision Center provides quality eye exams, eyeglasses, medications and cataract sergeries in collaboration with Haitian doctors. 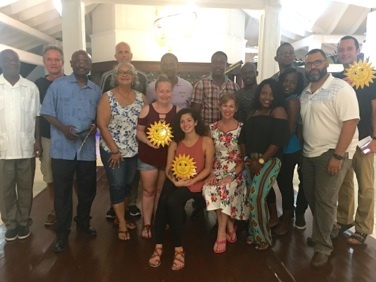 REA is also engaged in training a group of local Haitians to become optical technicians.